- Any -AlleganyAnne ArundelBaltimoreBaltimore CityCalvertCarolineCarrollCecilCharlesDorchesterFrederickGarrettHarfordHowardKentMontgomeryPrince George'sQueen Anne'sSt. Mary'sSomersetTalbotWashingtonWicomicoWorcesterVirginiaWashington D.C. Choose your county, and optionally the category of service you need, or CLICK HERE to see a list of ALL providers in the directory. 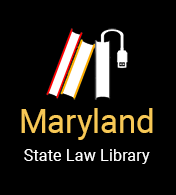 This is a listing of free and low cost legal service providers in Maryland. We also have a page with resources for people looking for mediators, self-help centers, fee-based legal assistance, as well as a listing of non-legal social services providers. The State Law Library has a listing of the public law libraries in the state. You can also refer to the Pro Bono Resource Center's 2014 Guide to Legal Services, and the 2014 Guide to Legal Services Branch Office Supplement.